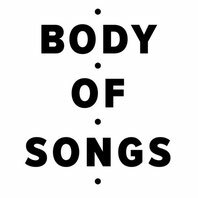 Body of Songs is a new music and science adventure that brings together some of Britain's most talented musicians and medical experts to create a collection of songs inspired by the organs of the body. 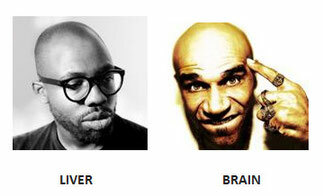 Body of Songs launches its first two songs by artists Ghostpoet and Goldie, composing the Liver and Brain respectively. This project has been curated by Radio 1’s Gemma Cairney and composer, Llywelyn Ap Myrrdin; the artists’ scientific journeys have been overseen by Medical Professor Hugh Montgomery, Director of the UCL Institute for Human Health and Performance. This strange proposition has a mysterious allure. As humans, we instinctively understand that music emanates from our bodies; our feel for rhythm and scales, of texture, harmony and emotion comes from an innate sense of the internal workings of our bodies. Guided by medical experts including pathologists, neurologists, stem cell scientists, patients at varying stages of illness and confronting the organs themselves, the artists have begun to understand why a chosen organ works and fails. Building on this and their own emotional history and feelings, each artist has created a song. The results have seen parts of the human anatomy personified through the medium of music as each song explores through sound, harmony, emotion and scientific fact the peculiar ways in which we understand our bodily systems. The remaining seven songs and body organs will be revealed throughout 2014 culminating in a finished record which will be available in early 2015. Supported by The Wellcome Trust, University College London Hospitals, the Gordon Museum and the NHS. The Body Of Songs team is Gemma Cairney, Kate Bland, Llywelyn Ap Myrddin and Beth Clayton. Have a listen below. Greetings I am so happy I found your website, I really found you by mistake, while I was searching on Askjeeve for something else, Anyways I am here now and would just like to say many thanks for a fantastic post and a all round enjoyable blog (I also love the theme/design), I don�t have time to browse it all at the minute but I have book-marked it and also added your RSS feeds, so when I have time I will be back to read a great deal more, Please do keep up the superb jo.